Start Trekkin’ Opens Jan. 7th! Get your tickets to Start Trekkin’ now! Prepare to explore strange new worlds, seek out new life and new civilizations this January and February at the Hideout Theatre. Our hit show, Start Trekkin, is returning to the Hideout stage to create brand new episodes set in the galaxy of Star Trek. Every Saturday at 8pm in January and February, the cast of Start Trekkin will take you on a never-before-seen, never-to-be-seen-again trek through the many worlds of the beloved, campy 1960s sci-fi TV show by cleverly blending audience suggestions and Star Trek canon. The ship won’t be the Enterprise, Kirk won’t be the captain. 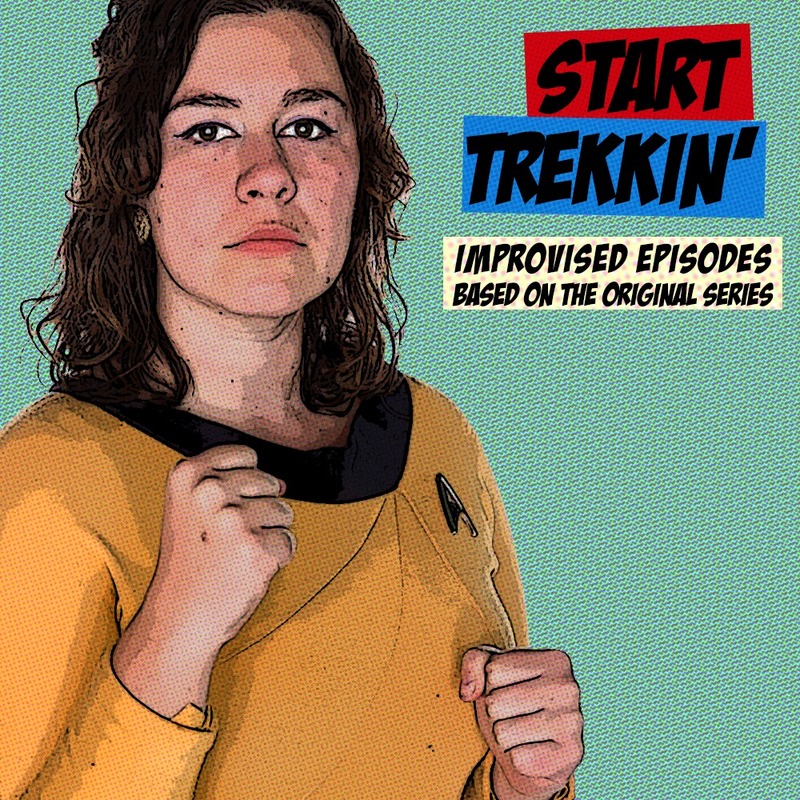 The intrepid improvisers of Start Trekkin will create an entirely new crew of stoic officers, goofy crewmen and doomed redshirts. Expect aliens, phasers, interspecies love affairs and over-the-top fight sequences in abundance. Expect to go where no one has gone before and will never go again.